Keep your perishable food items at safe temperatures even during shipping or delivery by using this Nordic NORDIC 21" x 6" flexible ice mat. 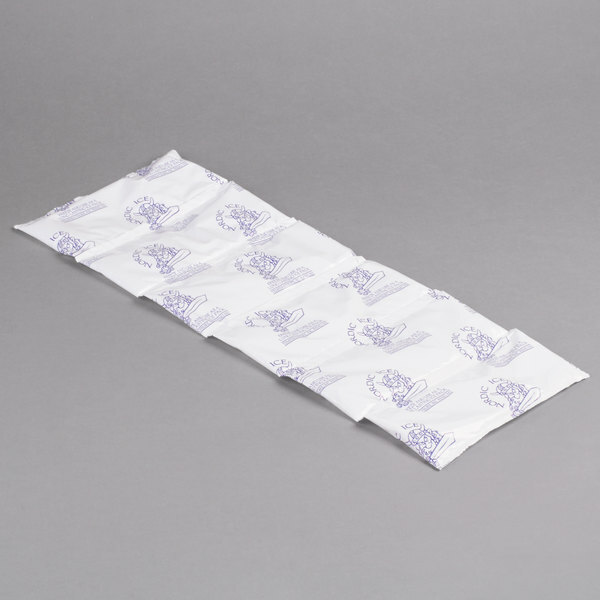 Since this flexible ice mat is safe and non-toxic, it's great for packing up cold foods. Plus, it's easier and cleaner to use than ice so you can use it to keep food at safe temperatures in a variety of situations. This convenient pack can be reused, saving you time and money. 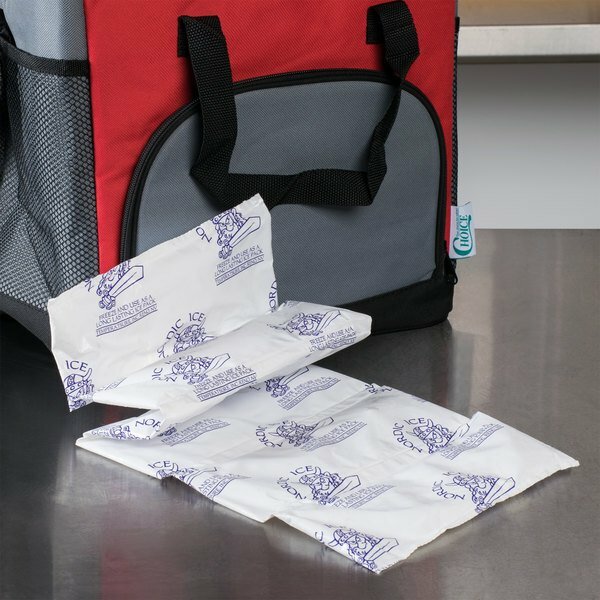 Simply wipe down this pack after use, then toss it back in the freezer so it's ready to go for your next outing or event. 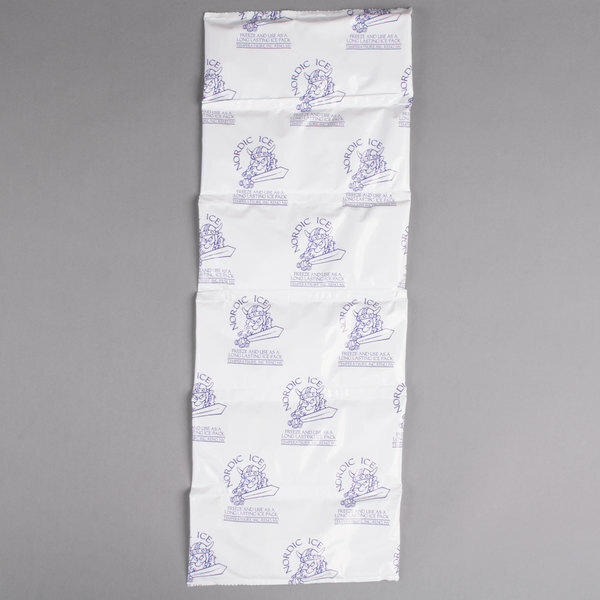 Plus, this ice pack is able to be easily bent and folded while frozen so it can adapt to fit around containers or into irregular spaces. It can even be shaped to better fit your needs by simply cutting off unnecessary cells to change its length. this ice mat its really easy to use because that is flexible you can even wrap your food with this mat and will keep it colder than with ice and without the ice melting !! Fantastic. Needed ice packs for knee and back injuries. 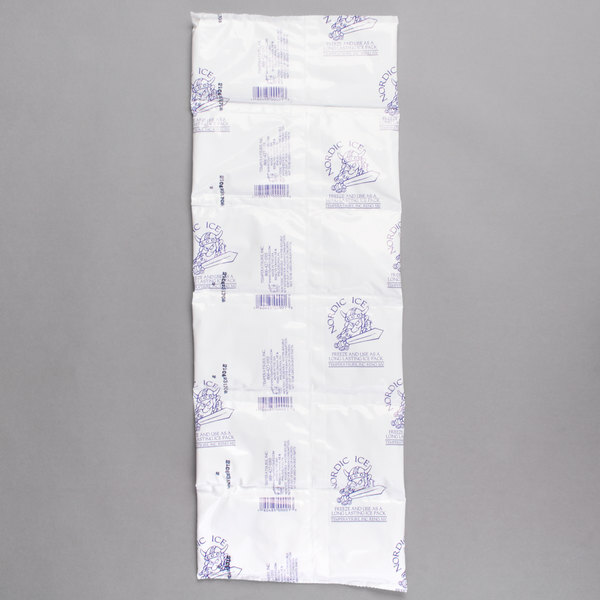 Had used reusable gel packs – don't deliver enough cold, and don't last long enough. Had used another version of this product in blue plastic (don't know what brand) – loved the design, but they were kind of thin and flimsy, cells started breaking and leaking. Bought this because of price, expecting it to be disposable like the other one I had. It has vastly exceeded my expectations. Sheets are huge, much easier to cover injured area. And the plastic is much thicker than the other brand I had. When I used the gel packs, they always warmed up before I'd had enough cold therapy; with these, there's still ice in them when I say, "Enough, I can't take any more. Highly, highly recommended, not just because of price, but because they just work better than the other products out on the market. This ice packs works great for wrapping around and through out drinks or foods you need to keep cold. It freezes within a couple of hours and stayed cold all day.